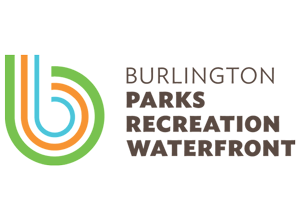 Boutique Bowling | Destination Recreation | Kids VT - small people, big ideas! Bowling isn't particularly romantic, but it's what my family chose to do for Valentine's Day this year. 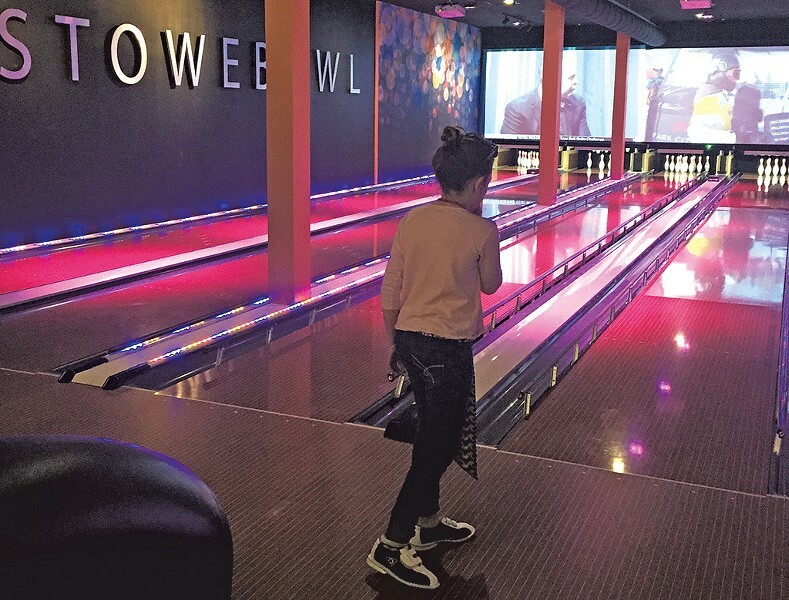 On that subzero Sunday morning in February, my husband, Jeff, our two kids and I cruised down I-89 to check out the just-opened Stowe Bowl, a swanky eight-lane alley that's part of the expanded Sun & Ski Inn and Suites on Mountain Road. We planned to get there just after the 11 a.m. opening to beat the crowd. But when we arrived at 11:15, the lanes were already full of families, and the line stretched to the door. The smartly dressed guy behind the desk broke the news that we had a two-hour wait. We contemplated bailing but then realized that we — like everyone else there — didn't have anything better to do on a minus 10 degree day. Luckily, Stowe Bowl makes for a comfortable and stylish place to bide one's time. We sat down at a four-top in the bar/restaurant section — complete with a shiny starburst pendant lamp and midcentury-modern furniture — and perused the food and drink menu. Typical bowling-alley burgers and pizzas met with more elevated fare, like an Asian noodle bowl and a butternut-squash salad. There's also an extensive drink list with coveted local brews and cocktails aptly named Spare Me and Team Captain. Since it was before noon, we forewent the hard alcohol in favor of truffle-oil popcorn, followed by noodle bowls and pizza. Bellies full, we settled into the lounge-like area to enjoy the gas fireplace, stone seating nook and flat-screen TV playing NBA highlights. Between chowing down, people watching and warming our hands by the faux fire, time passed quickly. When it was our turn to bowl, we tucked into a tufted pleather sofa in front of our lane. The electronic bowling interface was the most sophisticated I'd seen, with the option to take a selfie that displays next to your name. They had the usual kids' accoutrements: bumpers that automatically pop up during kids' turns and a metal ramp to help little ones guide the ball down the lane. A waitress came by to take our drink orders, and pop music blared from the sound system as we tried — some of us more successfully than others — to knock down the pins. Our allotted hour of play went too fast. While bowling, Jeff and I remembered that we'd spent one other Valentine's Day bowling, on our second date 15 years ago. Back then, we went to Chelsea Piers in New York City, had a bit too much to drink and walked hand in hand to a small candlelit restaurant afterward. This time around, we stopped at Pete's Greens Farm Market in Waterbury on our way home to pick up soup and bread for dinner and provisions for the work and school week ahead. Two vastly different Valentine's Days, both spent with the ones I love. Stowe Bowl is open Monday-Wednesday, 2-11 p.m., and Thursday-Sunday, 11 a.m.-11 p.m. Visitors can rent lanes by the hour for up to six people ($30-40), or pay per person, per game ($5.50-6.50) — unless it's a holiday, in which case visitors must pay by the hour, and the price goes up to $50. Shoe rentals are $4 per person.